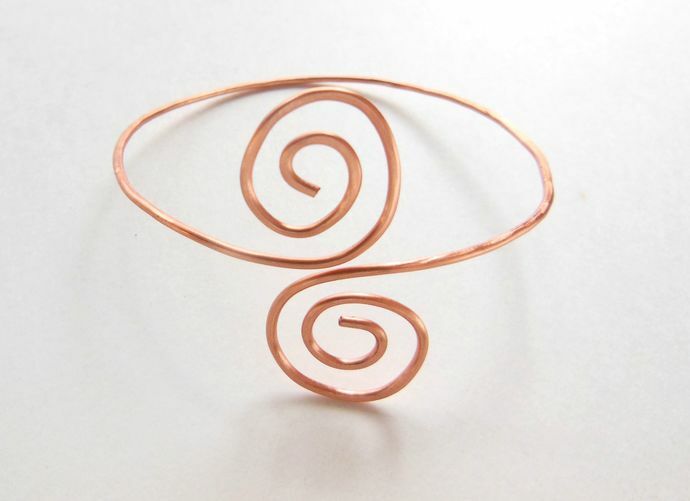 I used coated copper wire to make this swirly cuff bracelet. I formed it and hammered it myself. The wire has been coated to prevent tarnish and to protect your skin from turning green. 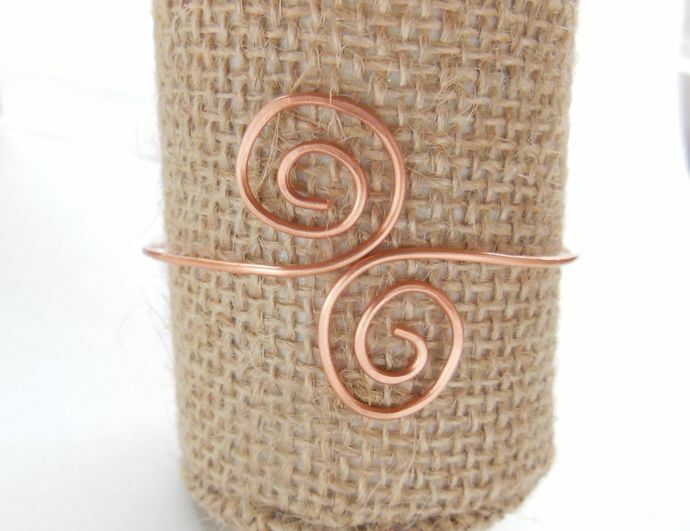 To put on, you gently open the cuff at the swirls, then slide your wrist in. The hammering will help it to hold its shape, though the bracelet may need to be adjusted regularly. If you like my work and would like a custom-made piece of jewelry, send me a message! I'd love to work together with you on a custom piece.